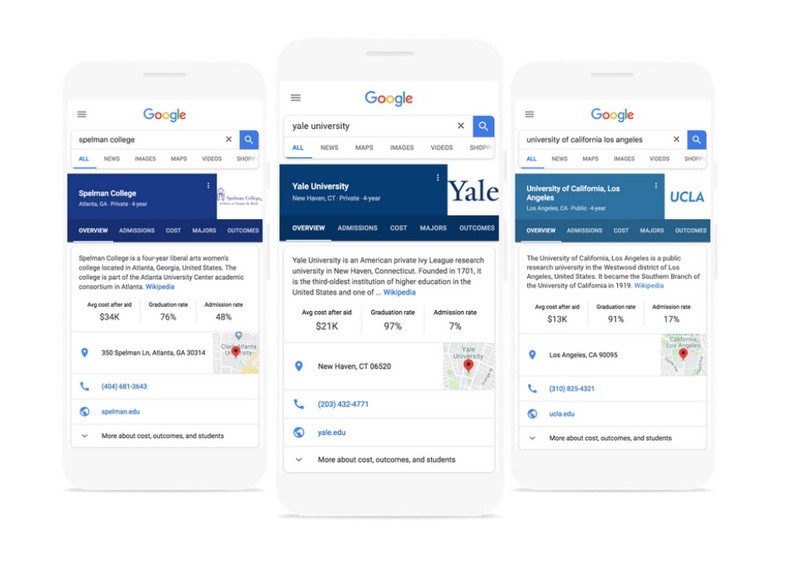 Last June 12, Jacob Schonberg, Google’s Product Manager, introduced the new feature in Google Search which may help students to find the right college for them. The new “Start your college search with Google” was similar to the Job Search on Google that was released last year, which helped millions of people who looking for a job suitable to them. The new update is for the student who is still thinking about the college they want, it will help them look for the accurate college. The new feature will show all the important details of a specific university such as the location, average cost after aid, gradation rate, admission rate, its official webpage, and contact number. People may also see the facilities of the college and its sector: either public or private school. This update has started rolling out on mobile devices and desktops with some features.